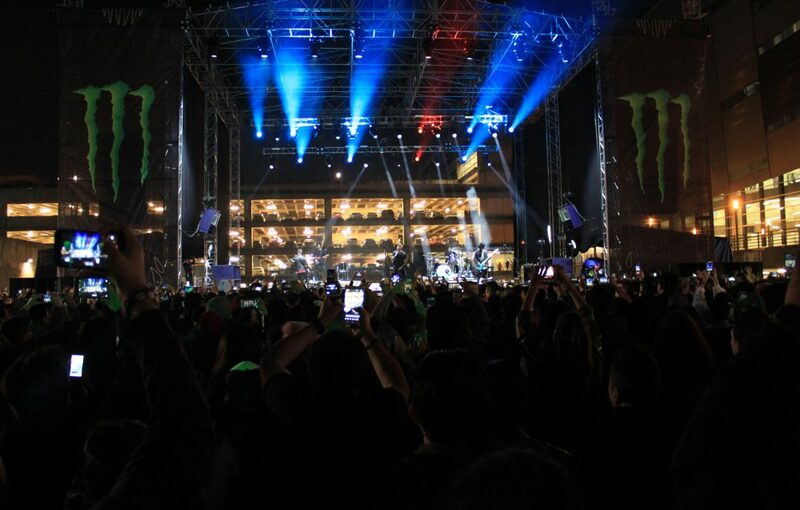 MEXICO CITY, Mexico – Loto Audio and Funktion-One supplied a Vero sound system for a rock music event featuring Papa Roach and Good Charlotte as headliners. October saw Papa Roach and Good Charlotte making a triumphant return to Mexico as headliners of a rock spectacular – powered by Loto Audio and Funktion-One – in the nation’s capital. Promoted by Zepeda Bros – the team responsible for a string of successful rock events, including Knot Fest Mexico – the show delivered over four hours of live rock music to an enthusiastic crowd at the open-air gardens of the Arena Ciudad de Mexico. The two international acts were supported by three of Mexico’s finest – Lack of Remorse, Matherya and QBO. To ensure the audience received the full power and impact of the performances, Loto Audo supplied a complete Funktion-One Vero sound system. The system garnered praise from all the acts’ FOH engineers – providing proof positive of Vero’s abilities across all genres of music. For the opening act, Lack of Remorse, FOH duties fell to Hugo Garzon – one of the most sought-after sound engineers for metal rock bands in Mexico. Garzon said: “I was impressed when they gave me the audio and we started the soundcheck. It was crazy to hear the power and clarity with which it was counted at that moment, I left very satisfied to work with such powerful audio.” A sentiment echoed by both Papa Roach’s FOH engineer Bobbo and Good Charlotte’s mix-man Chris McMillan. The system comprised hangs of three V60, two V315 and two V90 per side, plus an asymmetric configuration of eight V221 bass enclosures and four V132 sub-bass enclosures. Two F1201 speakers were used as front fill. The stage front monitor setup featured eight PSM12 wedges, with another two combining with a BR221 bass reflex speaker for drum fill and three Resolution 5s and F221s per side for side fill. Vero system tech, Alexander Danielewicz, used Lake processing on flat EQ and only applied the corresponding delays to match time on speakers on subs with the Vero, front fills and infra subs. Throughout the event, Vero wowed a crowd not normally accustomed to all-enveloping depth and clarity provided by the system. For promoter too, Vero really hit the spot, proclaiming that it sounded “brutal” and requesting its presence at the following weekend’s Cypress Hill show.